A group of scientist from Austria, Czech and Swedish researches confirms with scientific study that Freddie Mercury was the greatest singer of them all. A startling revelation but musician across genre were always fascinated by Freddies talent and it’s not unusual that scientific study points to Freddie being incredible. The study points to fresh light on how amazing his pipes really were. The results were published recently confirming that Freddie Mercurys vocals covered four full octaves in Logopedics Phoniatrics Vocology ( Via AlpaGalileo ).They discovered interesting findings that although Freddie sang mostly as a Tenor he was really a Baritone. They found these analyzing six interviews where his speech revolved around 117.3Hz.This was evidence enough that the singer potentially could jump between octaves. He was dealing with sub harmonics which is very unusual for a Rock singer which was verified by getting another singer to imitate his voice and record it at 4000 frames per second. They discovered he was employing sub harmonics where the ventricular folds vibrate along with the vocal folds. What the researchers also found was that Freddies vocal chords moved faster than any others. To explain a average vibrato will fluctuates at 5.4Hz to 6.9 Hz . Mercury was 7.04Hz. To see it scientifically a perfect sine wave for a vibrato assumes the value 1. Which is close to what opera singer Luciano Pavarotti sang, Mercury on the other hand was averaging 0.57 which even the great Pavorotti couldn’t achieve. 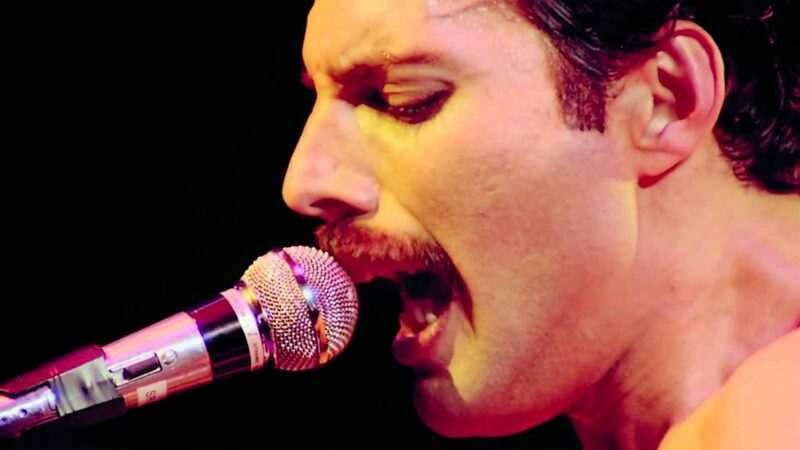 There is a lot of scientific terminology and analysis to Freddie’s voice in the whole research but it concludes without doubt that Freddie Mercury was or is the greatest singer of the vocal chords till date.